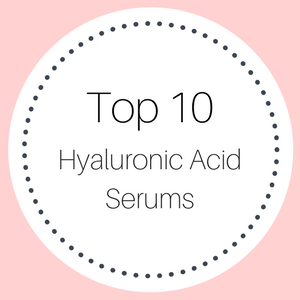 As we all know, hyaluronic acid serums are chocked full of antioxidants, which help to reverse the signs of aging in your skin. 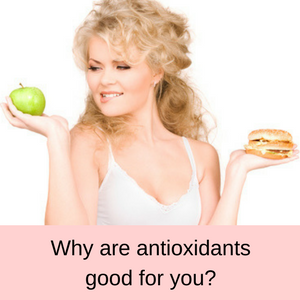 Antioxidants help to reverse the damage done to our skin by free radicals, caused by too much exposure to the sun – leading to sun spots, age spots, fine lines and wrinkles. 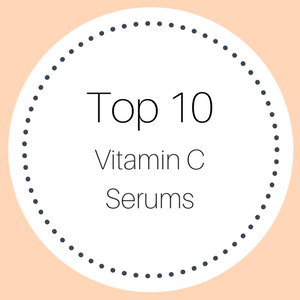 So why not back up the antioxidants in your hyaluronic acid serum and fill your daily diet with even more antioxidants? 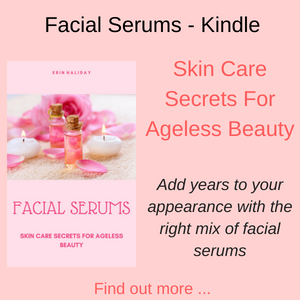 Anti-aging foods plus your facial serum is a great way to reverse the signs of aging throughout your body. 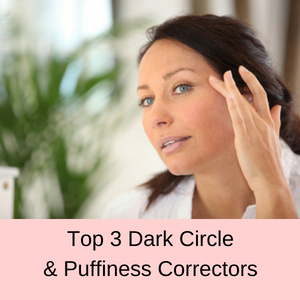 Healthy, whole foods not only provide you with life-giving nutrients, fuel, and help you to maintain a perfect weight, they also help to keep you looking and feeling young. Research studies have consistently demonstrated that maintaining an optimum weight can add oodles of healthy years to your life. Fifty might be the new 40, however one fact remains the same -as we age our need for essential nutrients increases. This means that we need as many nutrient rich foods as possible in our diet to maintain a healthy and vigorous lifestyle as we become older. Ultimately, the most basic and most effective method to achieve health and a long life is to concentrate on the nutrition you are taking into your body every day. 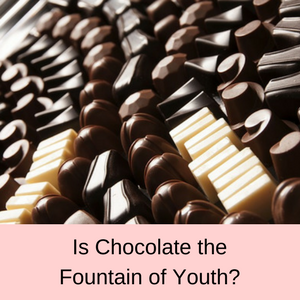 So as well as including a hyaluronic acid serum into your beauty routine, you can add years to your life and benefit your appearance by making smarter food choices as well. 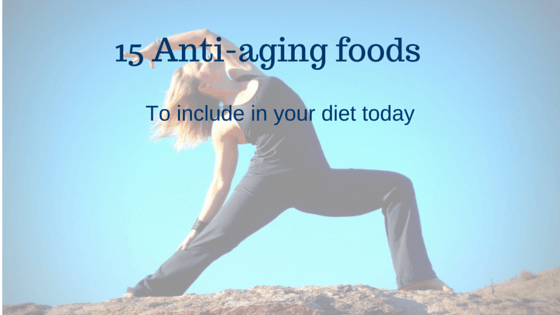 So start right now by including more of these antioxidant-rich foods in your daily eating plan. 1. Blueberries: Blueberries are one of the healthiest anti-agin g fruits available on the market and have the highest amount of antioxidants of all berries. Did you know that blueberries help to keep you mentally and physically fit? That’s because blueberries contain anthocyanins, which have been shown to help improve memory, and even slow the onset of Alzheimer’s disease. 2. Garlic: Garlic contains allicin – a strong antioxidant with lots of great benefits to your health. Garlic is also packed full of manganese, vitamin C and B6, selenium and also contains copper, calcium, potassium, phosphorous, iron and vitamin B1. 3. 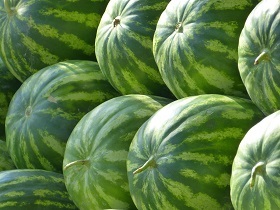 Watermelons: Most of us love watermelons, but did you know that they are packed fu ll of antioxidants? One antioxidant in particular – citrulline is really great because it removes toxins from your body and keeps your immune system in tip top shape – who knew?. 4. 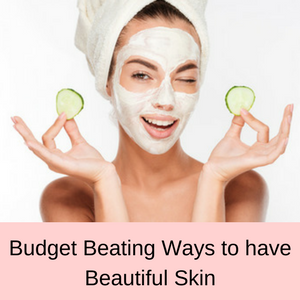 Lemons: Packed full of vitamin C, which is a potent antioxidant, lemons are a great addition to your anti-aging arsenal and help to reverse the signs of aging in your skin. 5. Olive oil: Who knew that this delicious oil, which is full of mono-unsaturated fats is also packed with antioxidants? So you don’t need to feel guilt when you sprinkle your salads with olive oil – just think of all those wonderful benefits from the antioxidants. 6. Broccoli: Another great vegetable that is full of vitamin C, D, A and K. Broccoli helps to detoxify our system, lower our cholesterol, keep our bones strong and reduce allergy problems. 7. Sweet potatoes: High in vitamin A, B5, B6, thiamine, niacin, riboflavin and carotenoids, sweet potatoes are an awesome way to boost your antioxidant levels and keep healthy well into your dotage. 8. 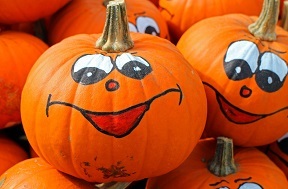 Pumpkin seeds: These little seeds are full of antioxidants, magnesium, zinc and plant based omega 3 fats and are great for a healthy heart, for your memory, cellular repair, insulin regulation and for sleeping. 9. Carrots: The antioxidants in carrots can help with maintaining your immune system, keeping your eye sight healthy, and protecting you against a number of different cancers. 10. Organic tomatoes: With tomatoes it pays to go organic, because these tomatoes are really jam-packed with powerful antioxidants to fight the ravage of time. A study found that organic farmers don’t use fertilizers, making the tomatoes increase their own level of defenses against pests – antioxidants. 11. Green tea: When you pour yourself a cup of green tea, you pour yourself a cup brimming with antioxidants as well. Rich in polyphenols, which scavenge for toxins in your body and detoxify them, green tea has 10 times the number of polyphenols as found in fruit and vegetables. 12. Brussel sprouts: Not everyone’s favourite, but the lowly Brussel sprout is chocked full of vitamins C, K, A and B6, as well as folate, potassium and manganese. A veritable powerhouse of antioxidants and healthy nutrition. 13. 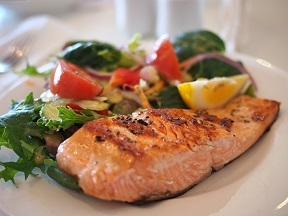 Salmon: Astaxanthin is considered to be the most potent antioxidant on the planet and salmon (and flamingos!) 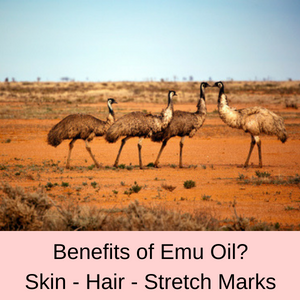 consume a massive amount of this antioxidant via the algae and other sea creatures they consume. So stock up on your salmon and protect yourself from the ravages of time. 14. Almonds: Chocked full of vitamin E, a potent antioxidant, almonds are an easy snack to take with you on the go and will help to keep your immune system and your heart in tip top shape. 15. Quinoa seeds: Chocked full of antioxidants, these quinoa seeds don’t even lose their potency when they are cooked. 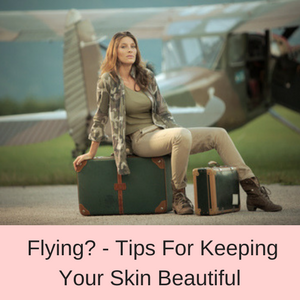 So change from rice to quinoa a few times a week and help to strengthen your anti-aging protection. 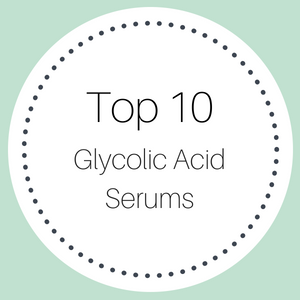 There are so many more foods that are full of antioxidants, but if you add these 15 into your diet, then along with your hyaluronic acid serum (which is chocked full of antioxidants), you will have everything you need to age gracefully and beautifully. 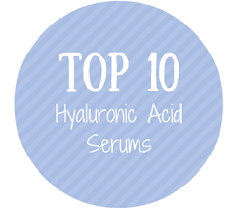 Check out my Top 10 hyaluronic acid serums and let’s kick start your healthy lifestyle today!